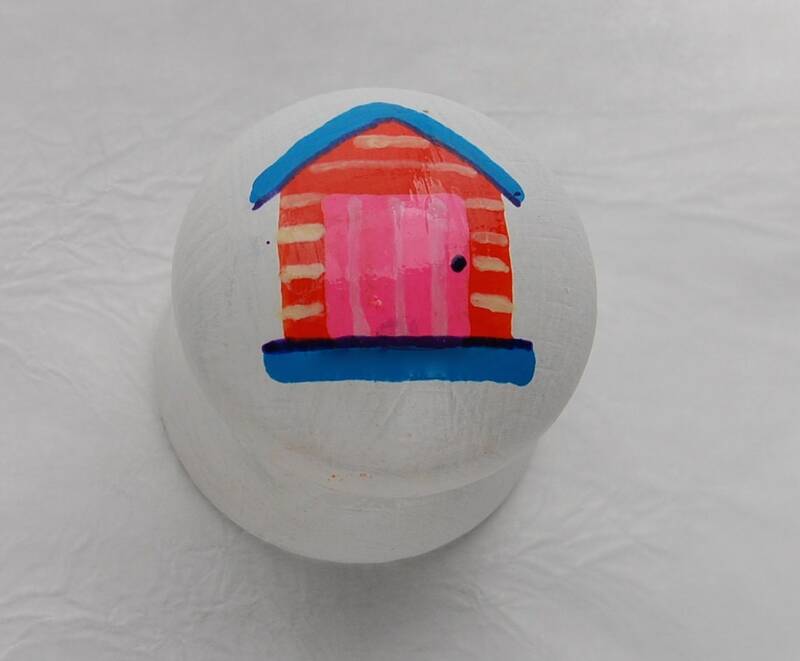 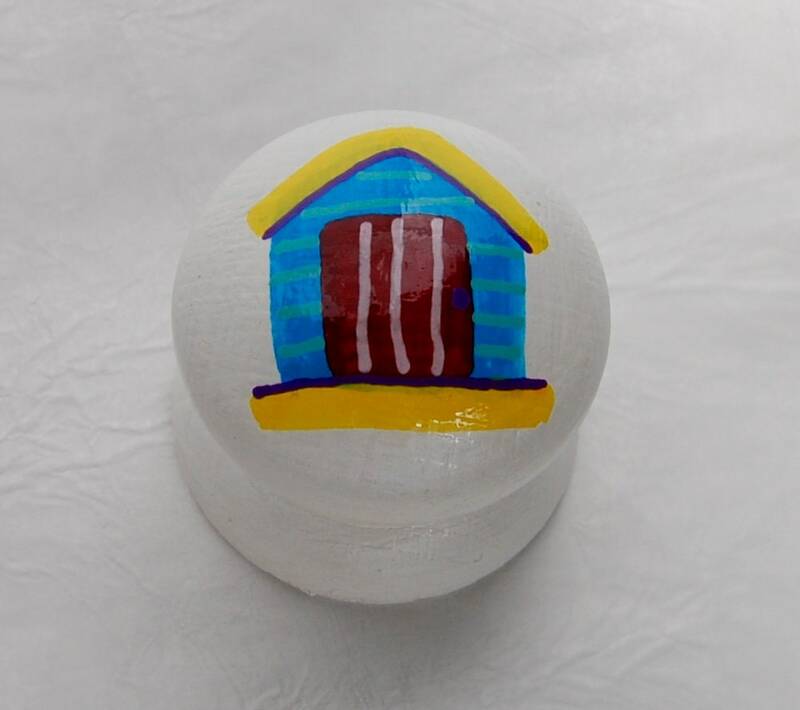 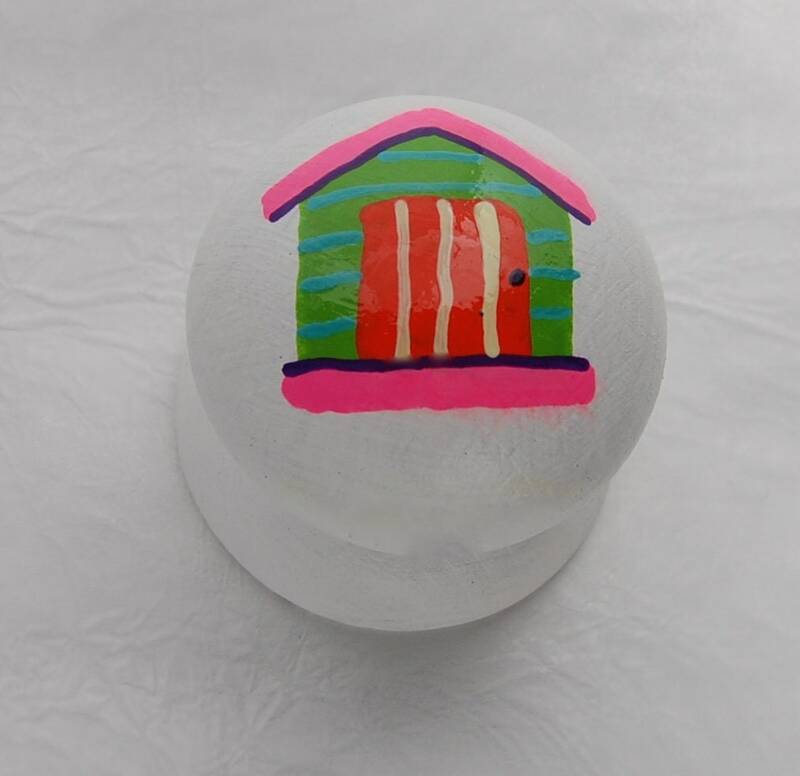 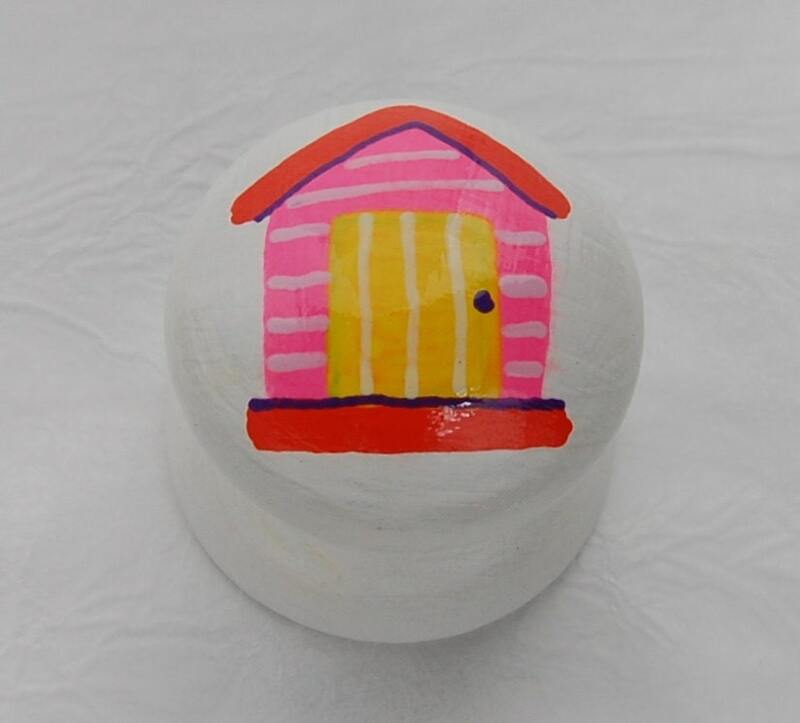 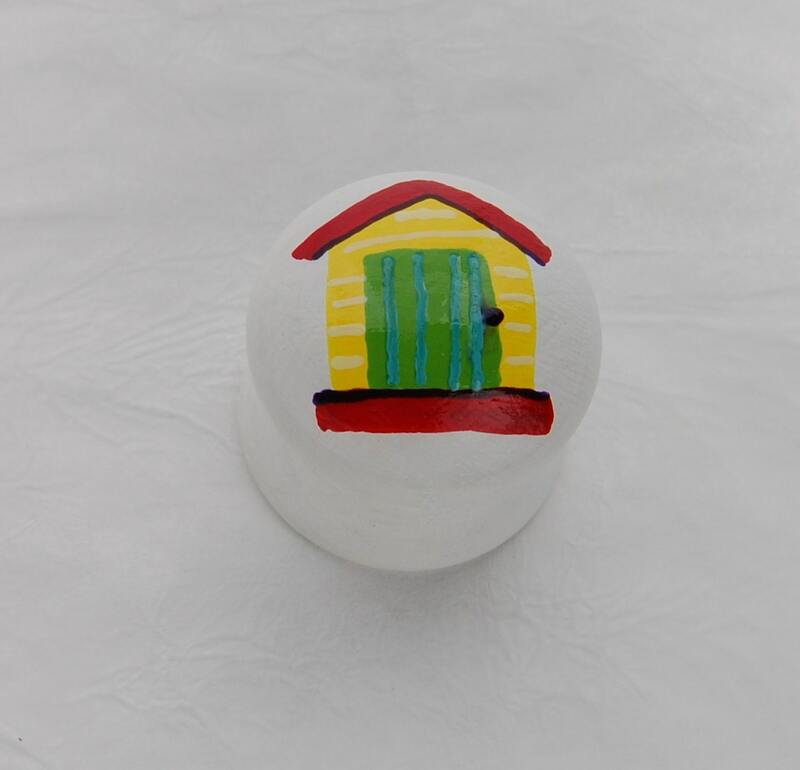 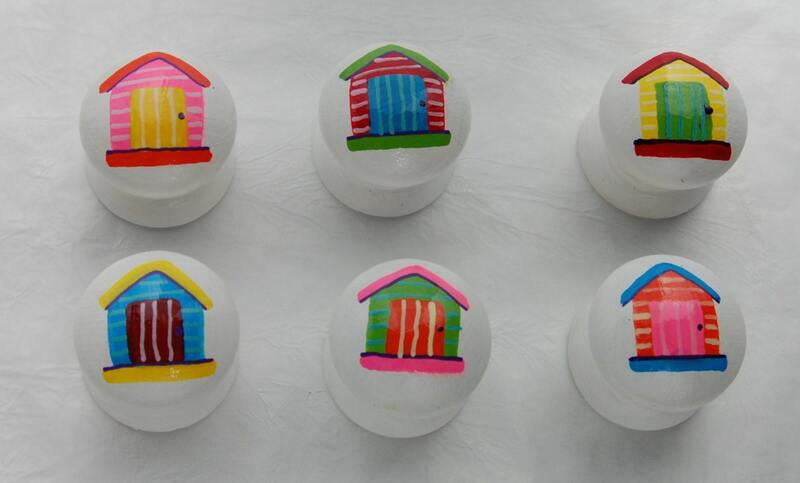 These brightly coloured beach huts are available as a set of 6. 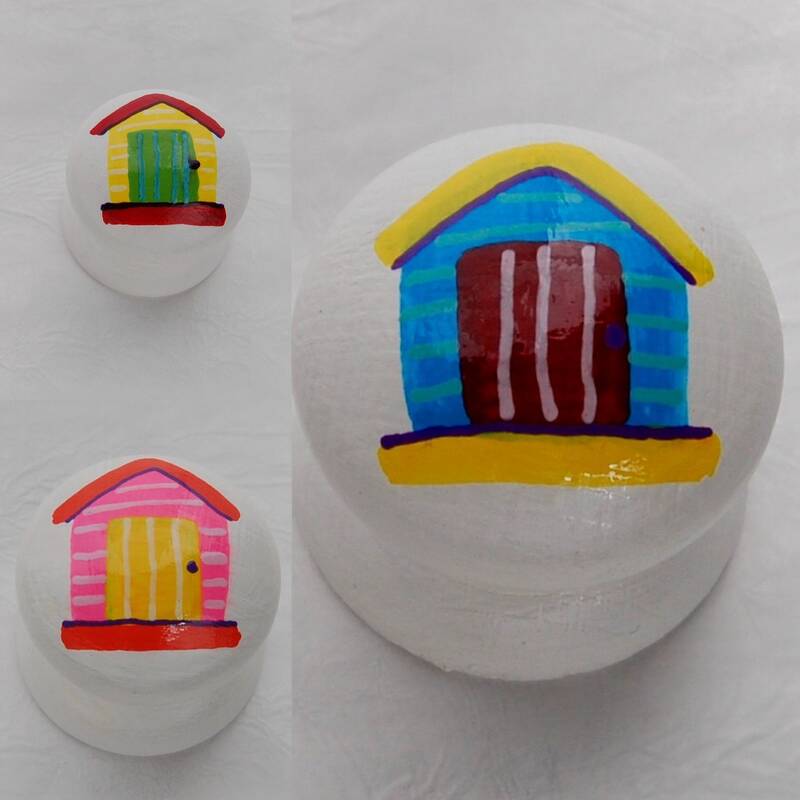 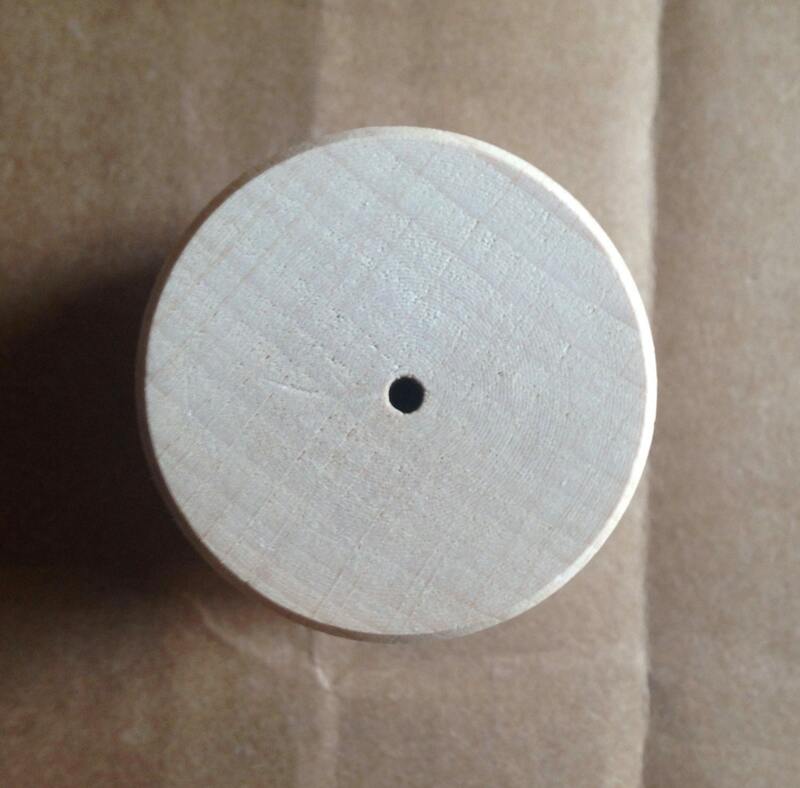 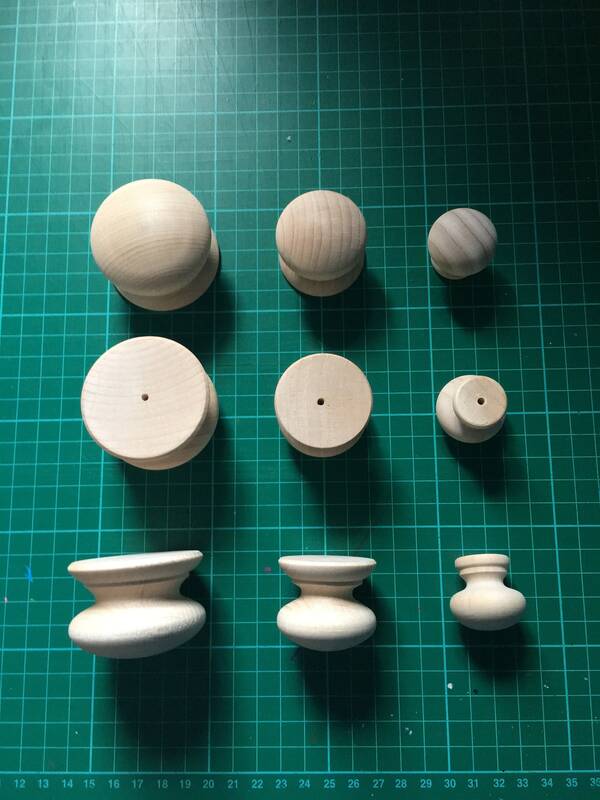 They are a great finishing touch to your up-cycled furniture project, add a nautical theme to your bathroom or kitchen cabinets, they work well in any room. 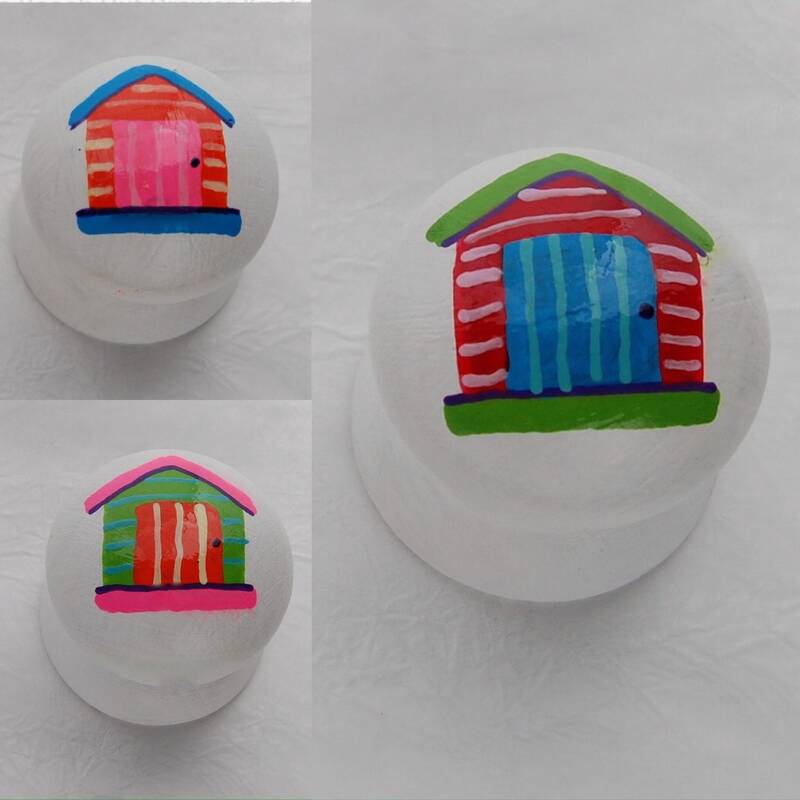 Each beach hut is hand painted on to a white wooden handle and several coats of enamel lacquer is applied to ensure durability and sheen.